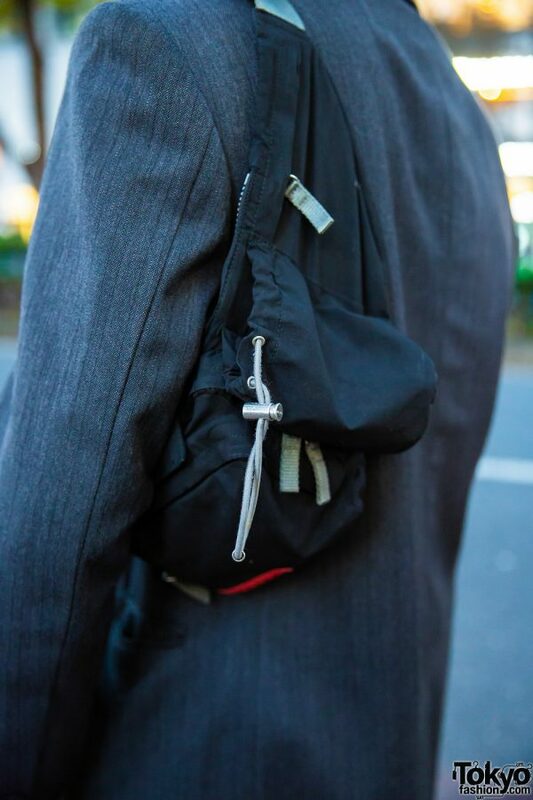 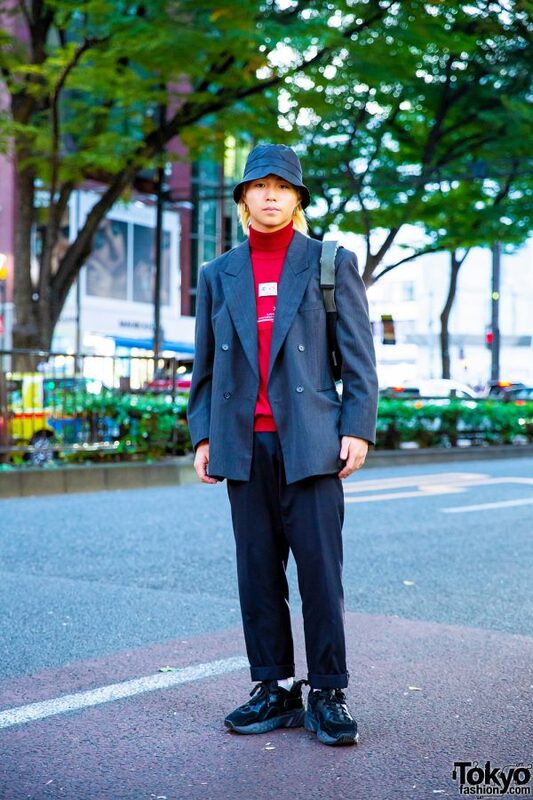 While walking along the streets of the Harajuku neighborhood, we came across Iori, a 19-year-old student whose casual take on menswear fashion style caught our attention. 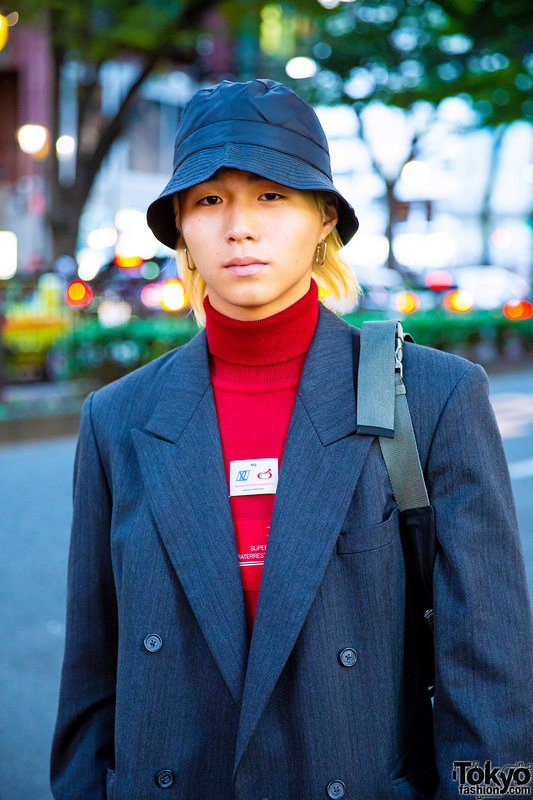 Sporting a black bucket hat over his blonde hair, Iori is dressed up in a resale blazer, worn over a red turtleneck top from Xander Zhou and paired with resale black cuffed pants. 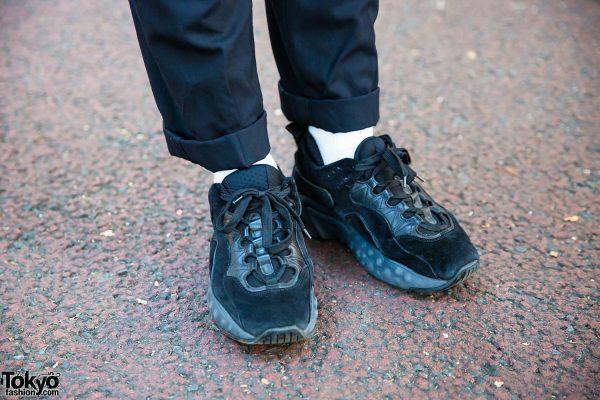 White socks, black sneakers from Acne Studios, and a black waist bag from Prada Sports is slung over his shoulder. 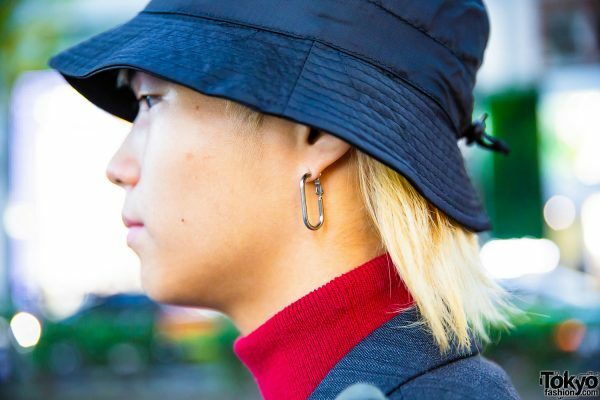 Silver geometric earrings finished off his ensemble. 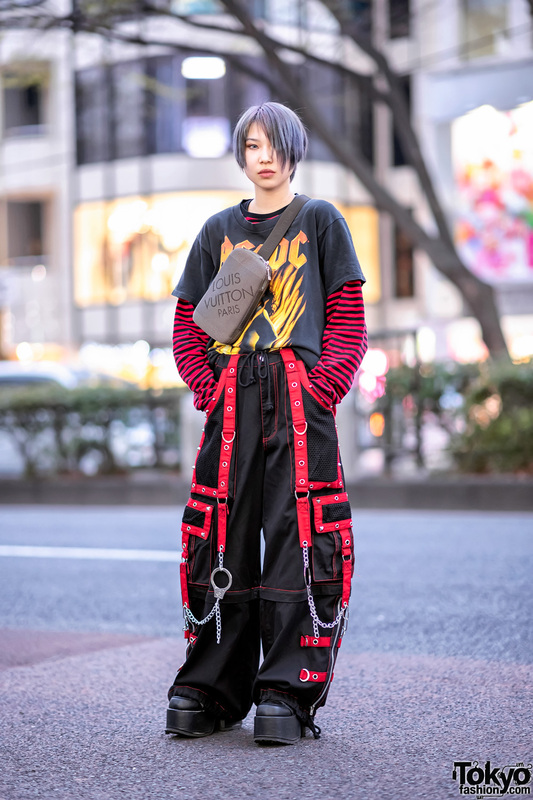 Iori likes to shop at Fethers Goffa X, and he is active on Instagram.